Beautiful, elegant bias cut gown with pin-tuck angel neckline and sleeves. Tiered pin-tuck layers with charmeuse bands with raw edge pinked hems. 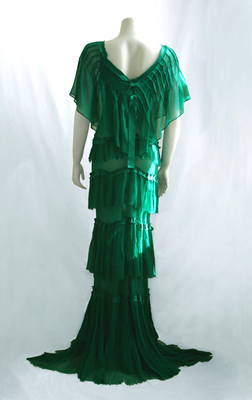 100% Silk Chiffon with silk charmeuse bands. Comes with separate slip. Custom Color.